Railpictures.ca - Liam Dumancic Photo: CN X431 has solo CN 2427 leading the way out of Guelph with a long cut of hoppers | Railpictures.ca – Canadian Railway Photography – photographie ferroviaire Canadienne. Copyright Notice: This image ©Liam Dumancic all rights reserved. Wondered where 2427 was going when I saw it cruising by Brampton GO yesterday morning. 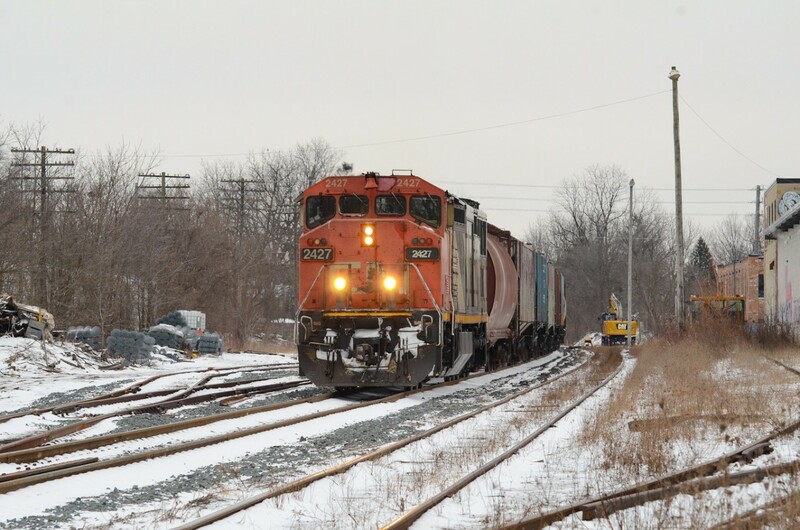 Then I heard later on it was at Georgetown lifting cars and then going to follow VIA 85 up the Guelph Sub.